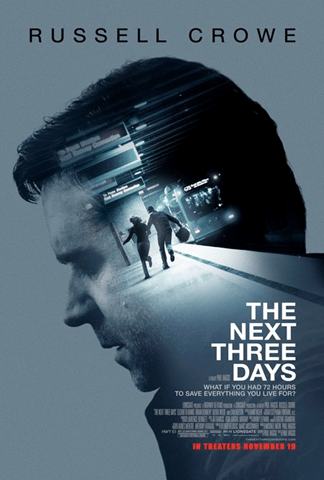 The Next Three Days is a very good suspense movie and nice counter programming for Harry Potter this weekend. Would be highly recommended if only 30 minutes shorter. Clip: Damon Pennington (Liam Neeson) instructs John Brennan (Russell Crowe) on how to plan a prison break.